Robots that walk like humans have been somewhat of a holy grail in the robotics industry for decades but what if, instead of mimicking their creators, they instead mimicked our prehistoric ancestors? 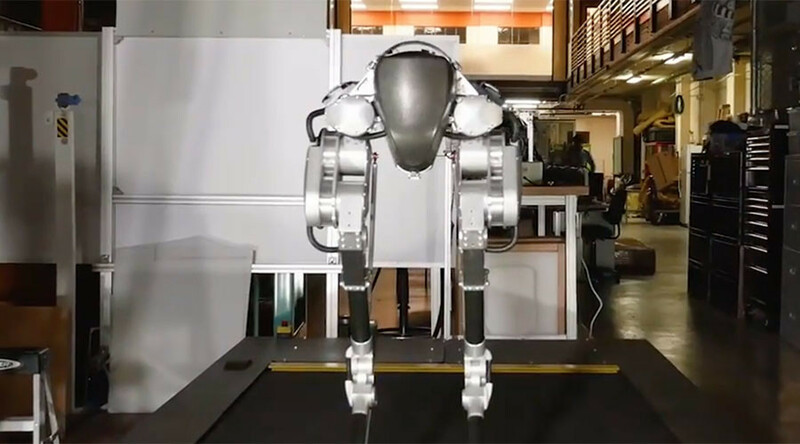 Agility Robotics, a business venture offshoot of the College of Engineering at Oregon State University (OSU), has just unveiled Cassie, the latest leap forward in bipedal robotics, complete with a gait that closely resembles an ostrich or a raptor. “We weren’t trying to duplicate the appearance of an animal, just the techniques it uses to be agile, efficient and robust in its movement,” Jonathan Hurst, Co-founder and CTO of Agile Robotics and associate professor of robotics at OSU, told the University newspaper. Using a 16-month, $1 million grant from Defense Advanced Research Projects Agency (DARPA) at the Department of Defense, the team at Agility Robotics successfully built Cassie from scratch in under a year, using custom components that met the stringent technical requirements for such a durable and flexible machine. For instance, Cassie possesses a hip similar to a human’s, allowing for forward and backward mobility as well as the ability to rotate, essential for traversing difficult terrain. Its legs feature powered ankles which greatly reduce the amount of shuffling required to stay upright, a rather unnerving trait displayed by so many of her robotic predecessors such as the ATRIAS series. The ATRIAS prototypes were also developed by the team at OSU to better understand bipedal locomotion and further their understanding of what it would take for a machine to tackle rough terrain. This particular flaw was resolved in two ways: firstly, at the design stage, the distinctive avian articulation of the legs reduced the number of motors required. Secondly, improvements in battery technology, specifically in lithium-ion batteries, have eliminated the need for a safety gantry (an eye sore and major limiting factor in previous walking robots) as well as allowing the majority of mobility processing to take place on board. “The robotics revolution will bring with it enormous changes, perhaps sooner than many people realize,” Hurst said to the OSU newspaper, highlighting the speed with which the industry is advancing. While the team are one day looking to compete with Amazon in automated package delivery, one obvious application for a free-moving bipedal robot would be in disaster relief and emergency response. Containment efforts in biohazardous or radioactive events, such as the Fukushima disaster in 2011, have often been frustrated by both human fragility and robotic underdevelopment. Cassie is still undergoing testing before a full commercial launch later this year but the team at Agility Robotics have already set the short to medium term goals of adding arms, so that future Cassie prototypes can self-right, as well as incorporating VR elements into future models to allow for telepresence. Their ultimate goal is to produce sub-$100k robots for a variety of industries.